Today (February 28) is the last day of United Ultimate League's Kickstarter to fund their 2019 season. As of today, they are 43% funded of their $50,000 goal which will fund the two - northern and southern - East Coast divisions. 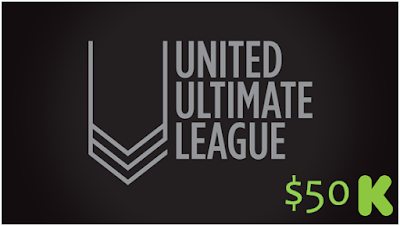 UUL - "Ultimate Frisbee's First Professional Mixed League" - will be played as 3:3 gender ratio, making this the first 6v6 semi-pro ultimate league and the first to be completely gender equal. If the UUL Kickstarter is not fully funded, then UUL will go back to the drawing board or pass the torch to someone else. We believe that Pro Mixed Ultimate is the future for ultimate. 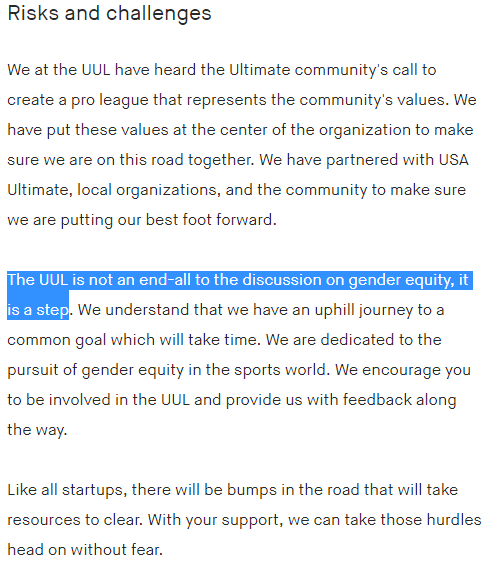 Per the Kickstarter page: "The UUL is not an end-all to the discussion on gender equity, it is a step."